Due to the Port Hills fire, Te Hāpua: Halswell Centre is being used as a Recovery Assistance Centre. There is now a Recovery Assistance Centre at the community room at Te Hāpua: Halswell Centre (341 Halswell Road). It will be open on Friday 17 February until 7pm, and from 10am to 4pm on Saturday 18 and Sunday 19 February. The facility’s library and pool are operating as usual. Welfare Centres set up for evacuated residents have now closed as on-site accommodation, but Te Hāpua Halswell Centre is open until 7pm Friday 17 February and from 10-4pm over the weekend providing recovery assistance and information. Staff will be available there to help people find accommodation and assess them for accommodation assistance. 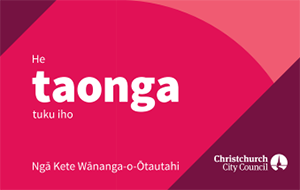 See the Christchurch City Council website for latest updates.